Are you tired of your normal day to day work wear? Why not try something new or different. These are my suggestions to spice up your current wardrobe. 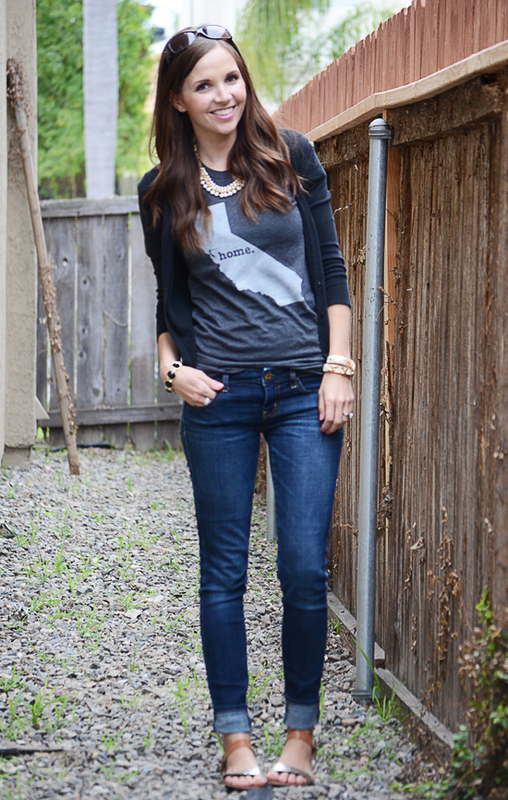 They are simple and easy, but they can really spruce up an ordinary outfit. Brooch ~ Pin a fun brooch to a plain colored sweater. Chunky Necklaces ~ A statement necklace can add some lift to a traditionally boring outfit. Printed Blouse ~ A printed blouse always looks fashion forward while maintaining the appropriate dress code. 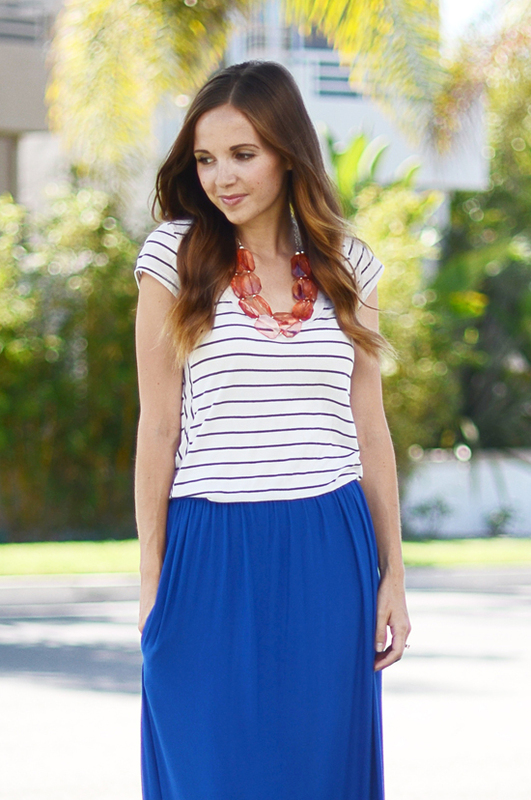 Pencil Skirt ~ A colored pencil skirt can kick things up a notch. You can pair it with another bold color or something more neutral. Colored Heels ~ More conservative dressers can add color to any outfit by choosing some great heels. Red is always a classic go to, but teal, orange and bright yellow are all great choices as well. Scarf ~ A scarf is another great way to add in some pattern to an otherwise neutral outfit. You can pick a silk one for a more dressed up feel. Sheath Dress ~ A sheath dress is the perfect canvas to dress up with jewelry, heels or a sweater. Stacked Bracelets ~ Stacked bracelets are a great way to create visual interest without having to buy new clothes. 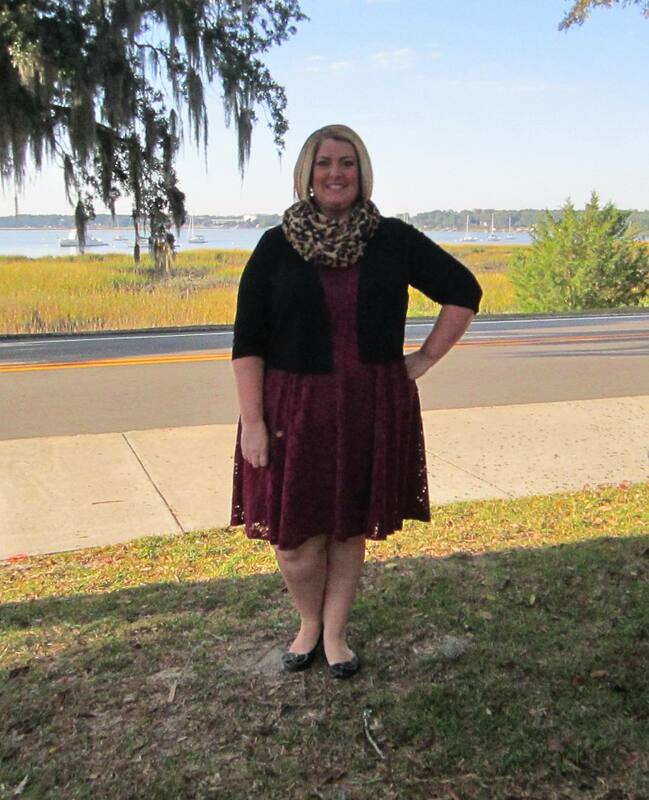 Wrap Dress ~ A wrap dress is a perfect example of a universally flattering shape that will look good on all body types. A well fitting wrap dress will accentuate your curves and hide your trouble areas. Tights ~ Depending how strict your work dress code is, printed tights can be a great addition to your wardrobe. Plenty of stores have subtle print patterns as well. 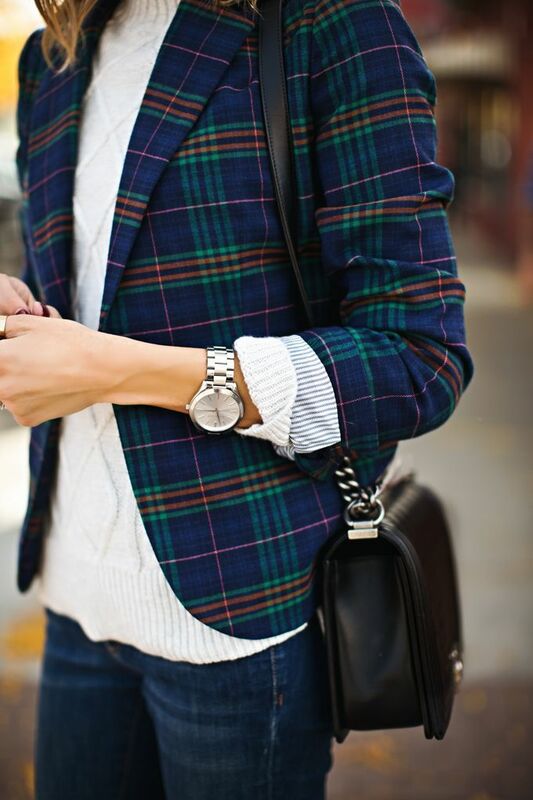 Plaid Blazer ~ Plaid blazers have become pretty popular this fall and can definitely be dressed up for a work wardrobe. A relaxed work dress code is best for something like this. 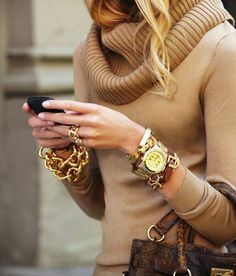 Long Necklace ~ Wear a long necklace with pullover sweaters. 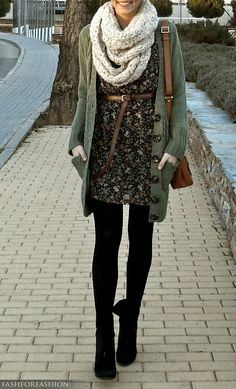 Summer Dress ~ Pair a summer dress with tights, pumps and a cardigan to make it more fitting for the cold weather. Leopard Print Belt ~ Any printed belt will do, but a leopard print belt will go with just about everything already in your wardrobe. 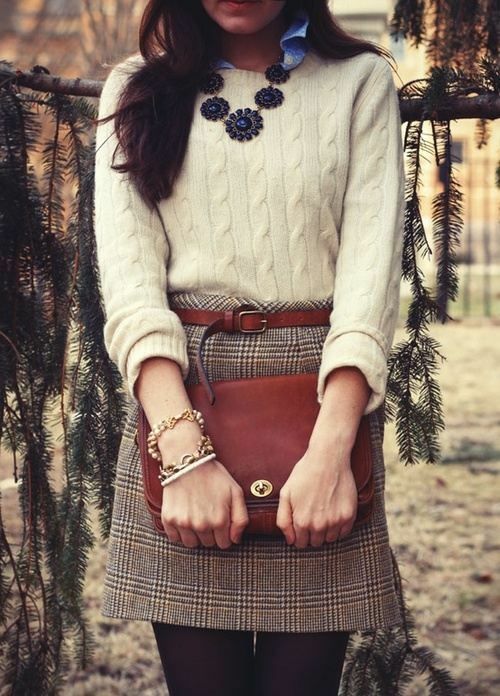 Tweed Skirt ~ Tweed skirts are great for winter with tights and a nice pair of leather boots. 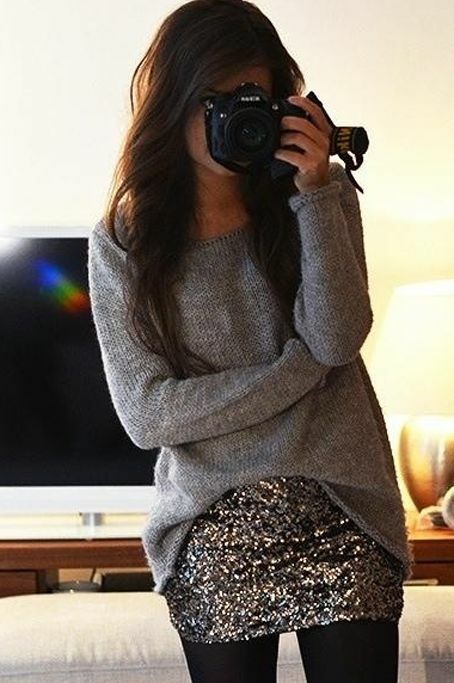 Sweater skirts are another alternative to look for. Coat ~ Get a coat that is both flattering and fun. This coat is perfect for fall before it gets too cold. Statement necklaces are my very favorite accessory!! They are the perfect way to complete an outfit and add a little wow factor. I know they may seem a little overwhelming to some due to the size, but they can add so much to an otherwise simple or basic outfit. 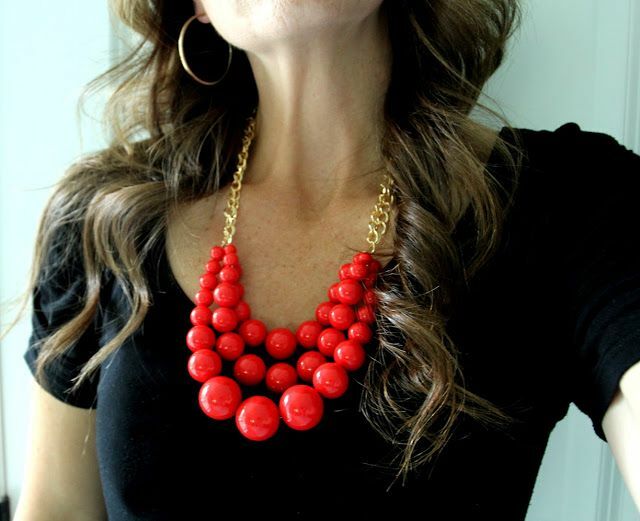 If you are scared of the statement necklace, then check out these easy ways to wear them… and as you look at these outfits, think about how simple and / or boring they would be without a statement necklace. They really are the perfect addition to liven up an outfit. This pink statement necklace was just what it needed to pull the pink stripes and pink bows all together. 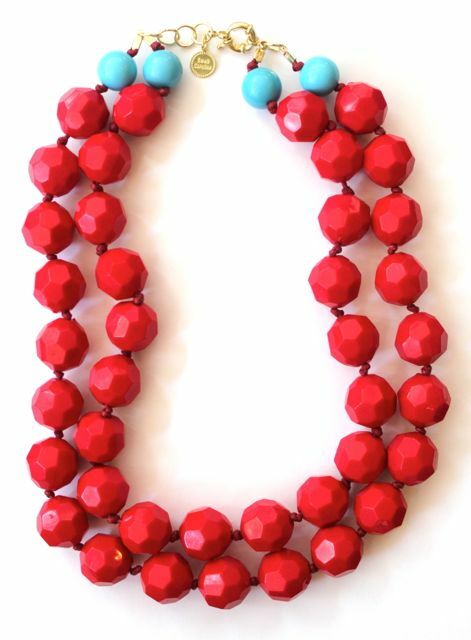 Acting as a cohesive element, this statement necklace makes the outfit complete. 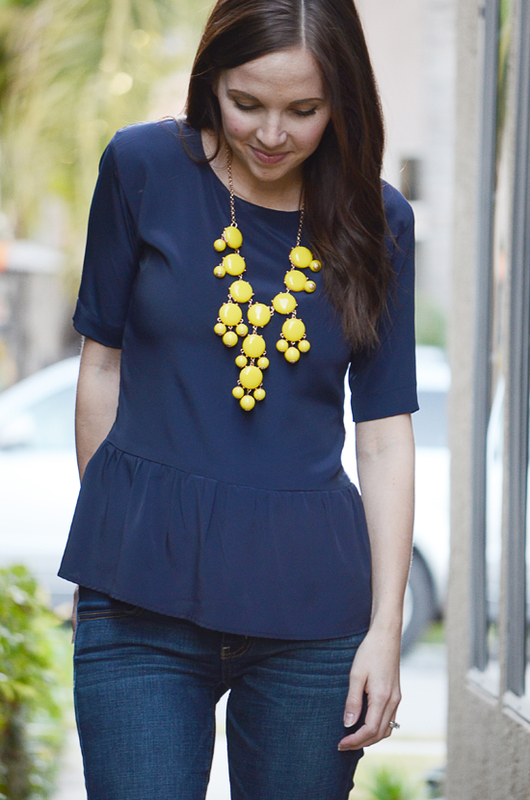 With a monochromatic dark blue outfit like this, brighten it up with a light and bright piece like this fun yellow bubble necklace. 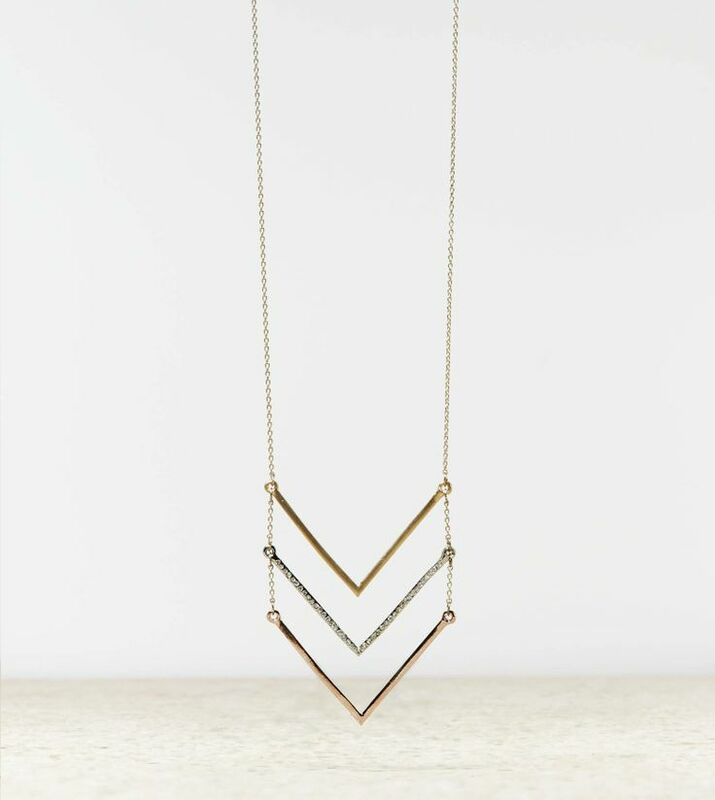 The contrast of dark to bright makes the necklace really stand out and draws attention up toward your face. 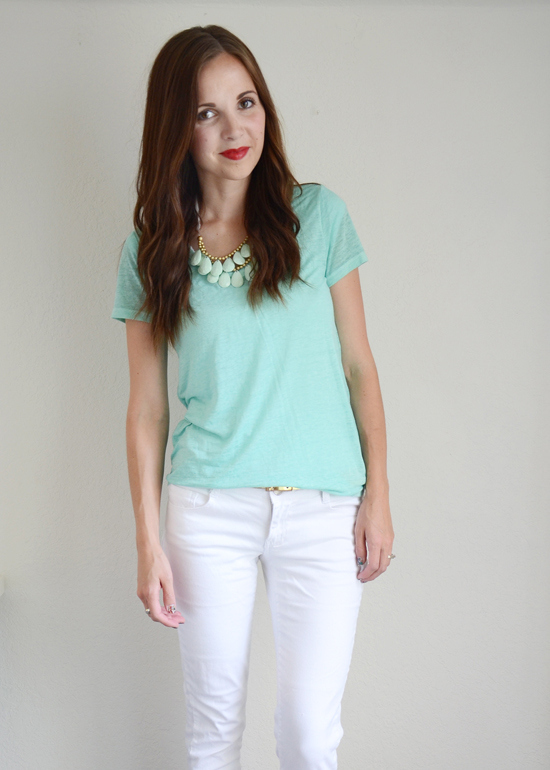 The combination of mint and white creates such a clean, fresh palette. Adding a necklace in the same hue as the top completes the look without taking away from the clean look. When wearing a t-shirt, you want to make sure it looks intentional. So add a sparkly statement necklace, and your outfit looks purposeful and put together. 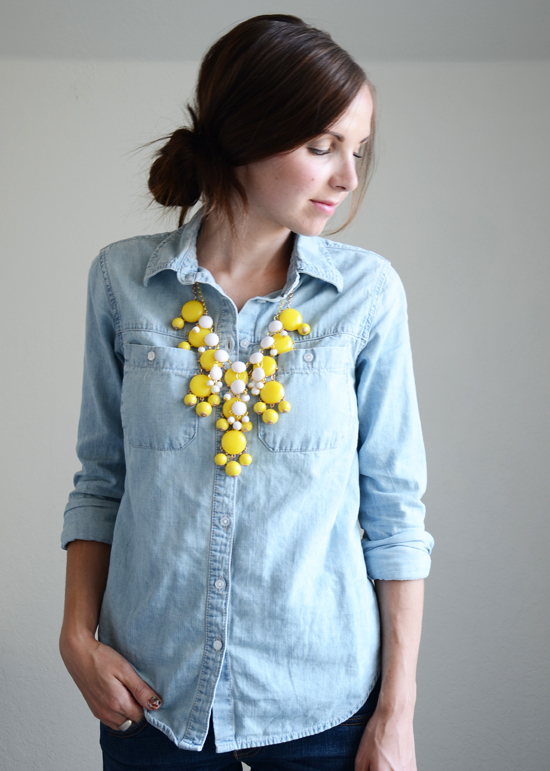 For a simple outfit, like denim on denim, try a fun statement necklace combo, like this large and small bubble necklace. 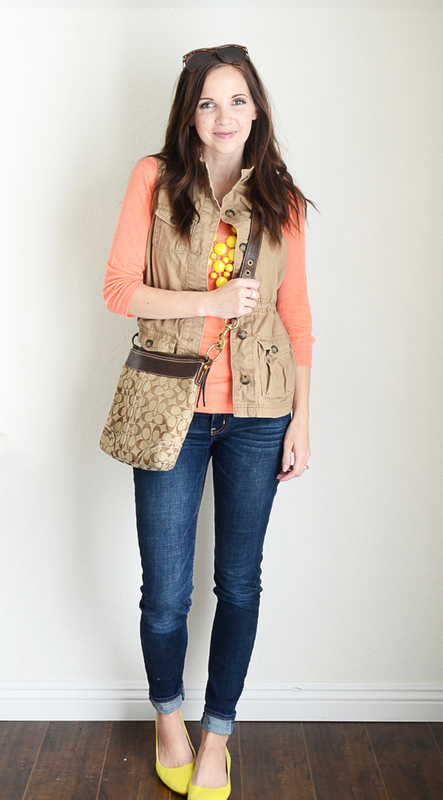 For outfits with one or two neutral colors, add a pop of color to brighten things up the look. A simple maxi dress like this is gorgeous, but adding a big chunky statement necklace adds some interest up at the neckline and completes the look. 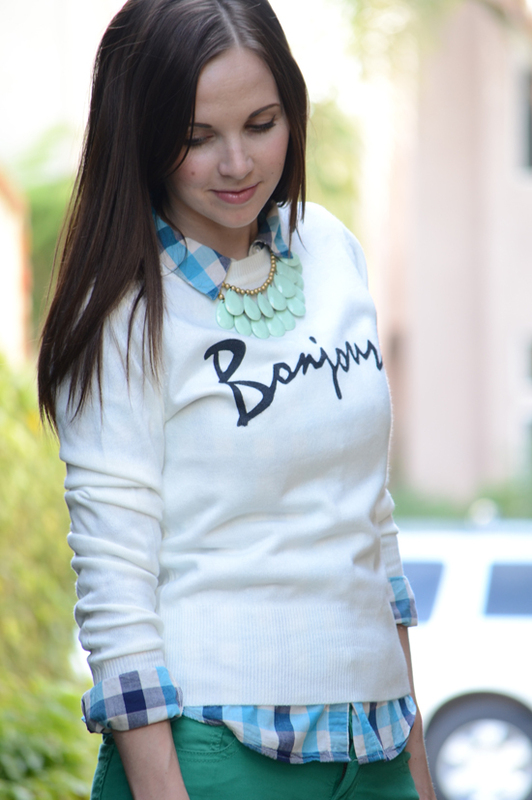 When you wear a collared shirt, the collar is just asking to be paired with a statement necklace. A big sparkly necklace also looks so great under a peter pan collar. Sometimes just a hint of statement is all that is needed. Pair this yellow bubble necklace with a bright sweater and shoes, but tone down all the brightness by partially covering it with a khaki cargo vest. As you probably already gathered, I am a shopaholic. I could shop every weekend if my budget would allow it. I wanted share some items I have purchased recently that I have not blogged about and where to find them. My favorite jewelry store is Charming Charlie. In my opinion, it is a grown up version of Claires. 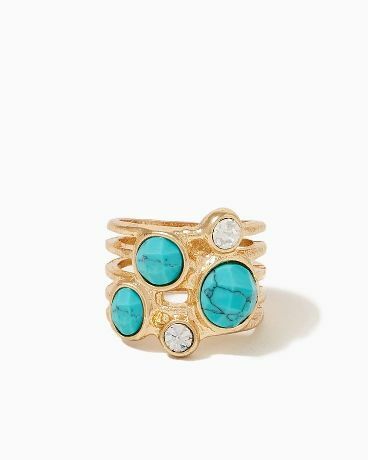 I found an awesome cocktail ring similar to this one for only $10. I have already wore it three times, so my cost per wear is ridiculously inexpensive. 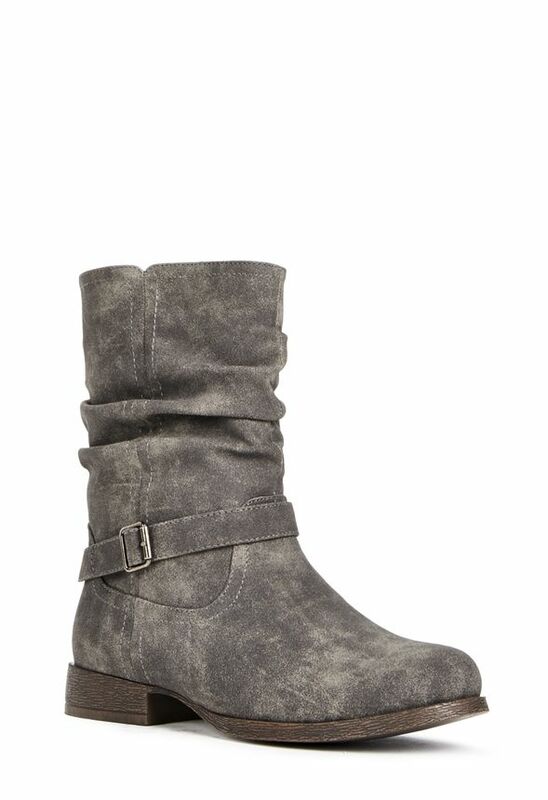 I found these booties last week on Justfab.com. When you sign up for Justfab.com, is it $39.95 and they will send you a new pair of shoes or boots every month. You can skip a month or two if it is not in your budget that month, and your credit card will not be billed. These booties should be arriving any day on my doorstep. Who is ready for boot season? I bought a silver chevron necklace a couple of weeks ago at Ann Taylor Loft for less than $20. I seem to be wearing it more than once a week. So again, my cost per wear is awesome. Here is a picture of a similar one. These bad boys are from my shopping trip to Atlanta last month. I was not even looking for shoes on this shopping trip, but now I cannot wait to wear them. I found them at DSW for under $50. Anyway, who leaves DSW empty handed…..I had to have these. 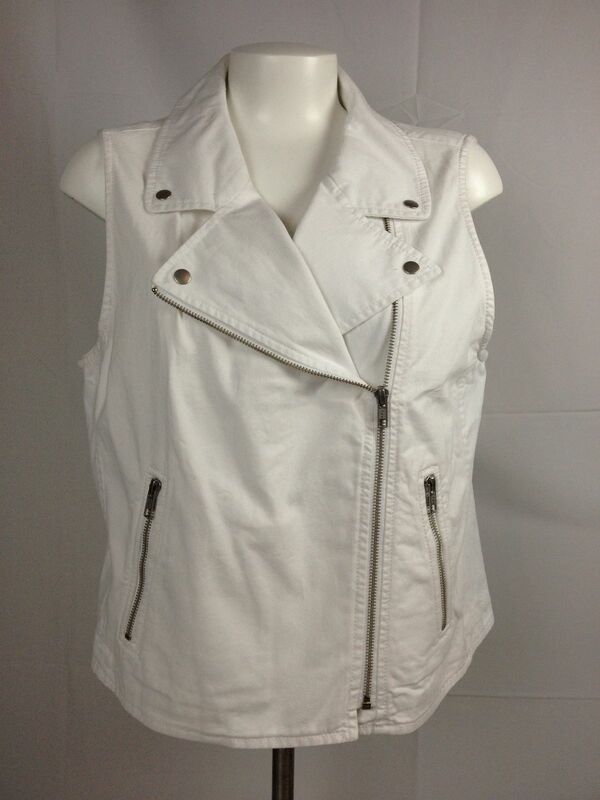 My last favorite item is my white zippered vest from Ann Taylor Loft. I found this when I had a coupon, so it was only $30. I am literally wearing it today over a royal blue jersey dress with the silver chevron necklace. Pictures from Pinterest, EBay and Charming Charlie. 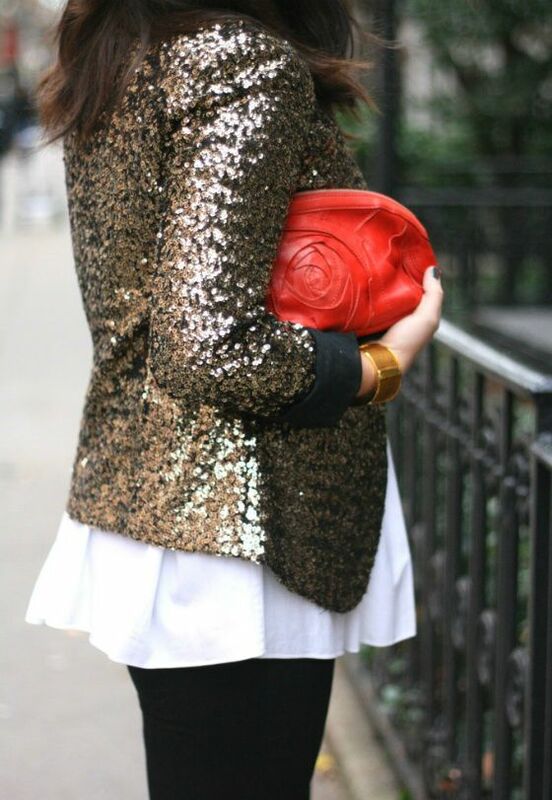 Sequins are a seasonal go to this time of year for parties, dinners, or even the office in moderation! Believe it or not, sparkles are more versatile than you might think. Here are some simple tips to follow to get your sparkle on this holiday season. First of all, you need to create contrast. Pairing something uber-glam, like a sequined jacket, with something totally casual, like distressed jeans, is a modern way to do sparkle. Also remember that less can be more!! Sure, you want to shine this holiday season, but do not forget that there are plenty of subtle ways to do it. Your old LBD will look sassy and brand new with the addition of a pair of sequined tights, a sparkling clutch, or the perfect ruby red heels. You definitely do NOT want to impersonate a disco ball. It should go without saying, but sequins make a major statement and need to be used carefully. If you are going to bite the bullet and go for a dress covered in bling, from top to bottom, opt for one that a.) Does not have an overly trendy silhouette, like this one-shouldered super-mini b.) Sticks with one color (black, gold, and silver are all classically gorgeous) or a small color family that is definitely complimentary c.) Fits you perfectly. Everyone is definitely going to be looking at you when you are covered in sparkles. You just do not want to get carried away with the glam factor. Resist the urge to bedazzle with abandon! Here are some easy ways to wear larger jewelry if you are petite or have fine features, but still make more of a statement with it. 1. Wear pieces that are made from multiple smaller pieces. 2. Layer many small beads to create one larger scale piece. 3. Make it see through. If you can see skin through it, it will not feel so heavy or large and dramatic.